Ever wonder how that plant by the trail would taste in your cocktail? Wonder no more as we delve into artisanal infusions and craft bitters from ethically sourced plants native to Stanley Park. Learn about the history of bitters as ancient medicines and more recently as flavouring agents, opening a vast possibility of layers to drinks. 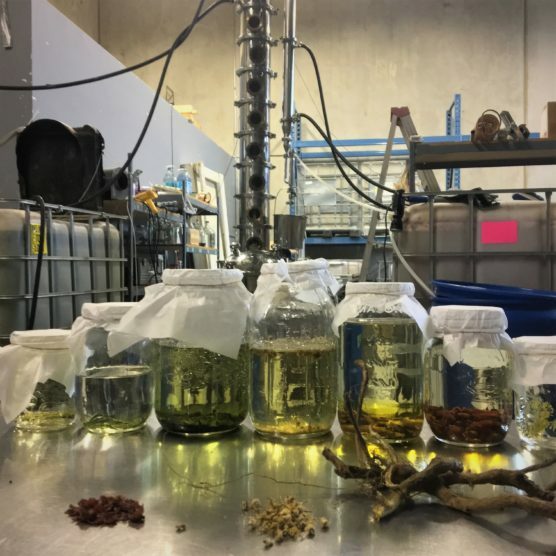 – Learn infusing techniques to try at home to produce an array of bitters from local plants. – Create delicious cocktails, sample as you go, using an original blend of your own unique combinations of flavours. These will be pre-harvested and pre-infused, so no need for field or lab wear! – Take home two dropper bottles of your favourite bitters creations. Open to ages 19+ only. The amazing specialists at Tailored Spirits, a local distillery with a heart for the West Coast, will be leading us in their tried and tested techniques. Besides your creations, you may take home some of their bottled liquors for sale!